Chocolate is not only delicious, it has surprising health benefits, especially if the concentration of cocoa is 70 percent or higher. While chocolate is more often associated with indulgence than nutrition, chocolate (a derivative of cocoa beans) contains plant nutrients called flavonoids that provide many health benefits. Flavonoids are naturally found in fruits, vegetables, tea, and red wine, and have been identified with having anti-viral, anti-allergic, anti-inflammatory, anti-tumor, and antioxidant benefits. Flavonoids are a plant-based antioxidant found in chocolate. The antioxidant properties of flavonoids are what stimulates health benefits from chocolate, such as helping with blood flow and decreasing cholesterol. Cocoa contains two types of flavonoids, flavanols and flavonols. Flavanols, the prominent type of flavonoid found in cocoa and chocolate, are the source of the antioxidant qualities. Check out these unbelievable health benefits. Eating chocolate is often associated with happiness and celebrations, and studies have proved that consuming chocolate can help improve your mood, making you feel calmer and more content. Dark chocolate stimulates the production of endorphins, chemicals in the brain that create feelings of pleasure. “Dark chocolate also contains serotonin, an antidepressant that can elevate mood,” says Scritchfield. Flavanols are also believed to play a role in chocolate’s mood enhancing effects. 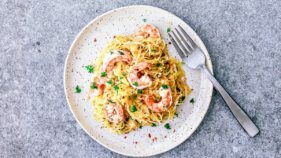 Despite the mood-boosting effects, Kelly warns that it is important not to fall into the habit of finding comfort from a food or turning to it in emotional times. “I wouldn’t rely on chocolate (or any food) as your go-to mood booster,” she says. 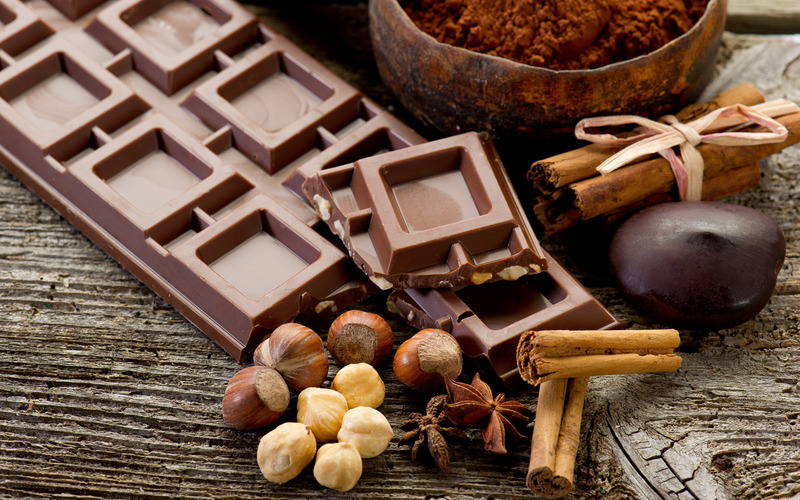 Flavonols in chocolate have also been linked to improving cognitive function as we age. “Cocoa solids contain cocoa flavonoids that help with blood flow throughout your body,” says Strichfield. Participants in the study consumed a drink rich in cocoa flavonoid, which led to improved cognitive function. Cocoa solids contain cocoa flavonoids that help with blood flow throughout your body, but to reap their maximum benefits, you have to consume chocolate that is as close to raw cocoa as possible. While white chocolate does not contain any cocoa flavanols, milk chocolate does contain some, but it also contains a higher concentration of sugar (up to 22 grams per ounce), which could cause you to crave more sugar and lead to weight gain. Dark chocolate has less sugar and has been shown to be more satiating. “Chocolates with cocoa percentages of 70 percent or higher are strong sources of cocoa flavonoids,” says Scritchfield. 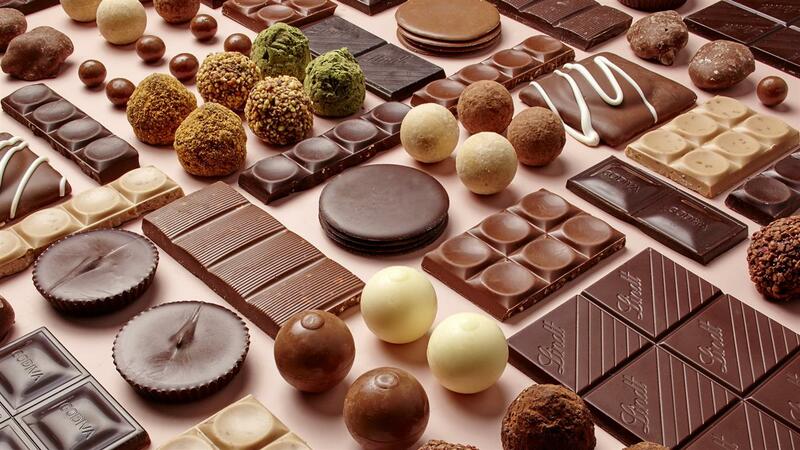 Chocolates with lower percentages have a less bitter taste, and still contain cocoa flavonoids, but they are not as concentrated. Eating high-quality dark chocolate every day is good for the body and mind and has even been shown to help with weight loss. The flavonoids in dark chocolate help reduce insulin resistance, which prevents spikes in blood-sugar levels, discouraging you from overeating—even smelling it can help curb your appetite. “Since dark chocolate is the highest in cocoa flavonoids, the greatest health benefits are seen with consumption of three to four ounces of dark chocolate per day,” says Scritchfield. As with any other packaged food, you need to read the label of your dark chocolate to ensure it has minimal ingredients. 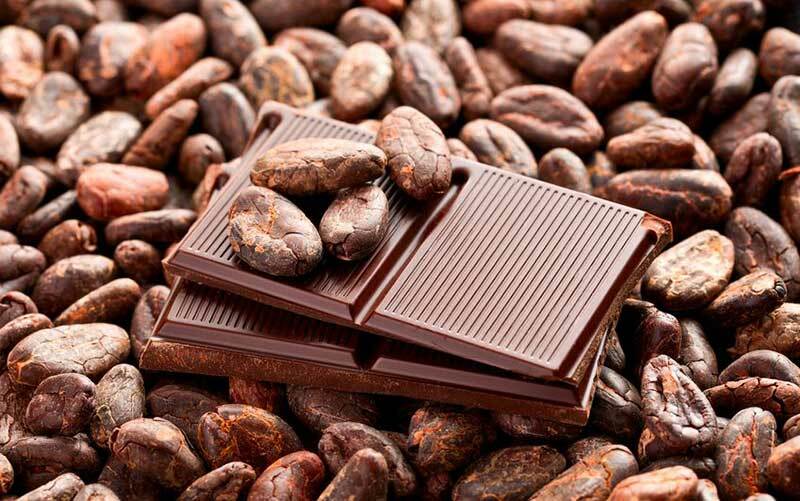 Look for the percentage of cocoa present—the higher the percentage, the greater the health benefits. The chocolate should be pure and dark, without any additives. Some chocolates have additional sugar, sweeteners, and/or milk to make them less bitter and more palatable, she says. Hydrogenated oils, another term for trans fats, is one ingredient to especially steer clear of as they are linked to heart disease, stroke, and diabetes. Make sure you’re not making these mistakes when reading food labels. You can increase the health benefits of your dark chocolate by having some almonds for some added crunch and healthy fats. A lot of people find 100 percent dark chocolate to be too bitter but if you sprinkle it over your low sugar smoothie bowl, on some plain Greek yogurt, or add it to a tablespoon of nut butter, it’s great! 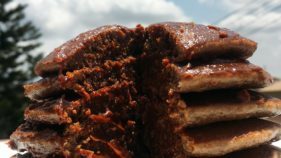 Chocolate can also be added to recipes for an added flavour boost or to soothe our cravings for it. An ounce of 70 percent dark chocolate daily has proven health benefits such as reduced risk for heart disease, but it doesn’t give us a free pass to eat lots of chocolate. One ounce of 75-percent dark chocolate contains 12 grams of fat, eight grams of saturated fat, seven grams of sugar, and 151 calories. 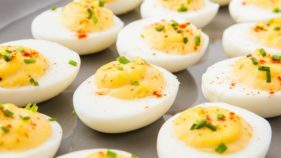 Consuming too much saturated fat raises your cholesterol and increases your risk for stroke and heart disease while consuming too much sugar can increase your risk for heart disease and lead to weight gain. Enjoying chocolate in moderation with a balanced lifestyle of exercise and nutrition can have great health benefits. While chocolate has many health benefits, it can have side effects, especially if you’re caffeine sensitive. The caffeine in chocolate may lead to increased heart rate, anxiety, and restlessness, says Kelly. “Be cautious if having it in the late afternoon or evening, because this can lead to interrupted or poor quality sleep. Chocolate, due to its acidity, can also be a culprit for heartburn and acid reflux. Eating too much chocolate can lead to weight gain and promote chronic diseases like heart disease and diabetes.